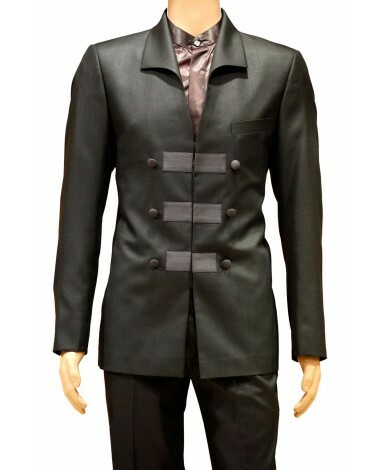 his designer black 2 piece trendy suit is decorated with buttons and high neck collar is perfect for special occasion. Comes with matching pant. Take the chance to be the best with this awesome kit. 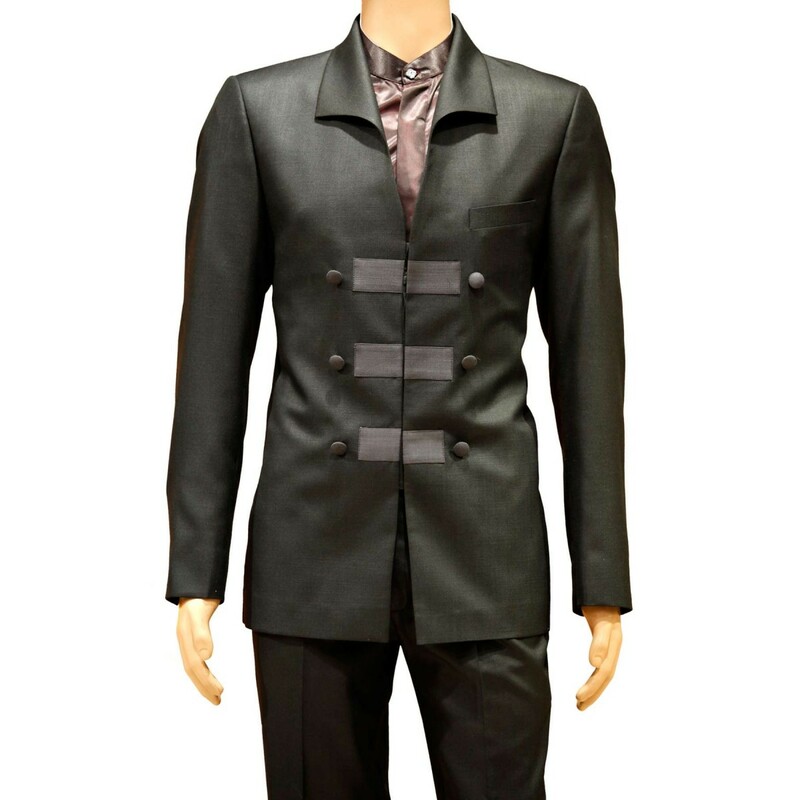 This designer black 2 piece trendy suit is decorated with buttons and high neck collar is perfect for special occasion. Comes with matching pant. Take the chance to be the best with this awesome kit.